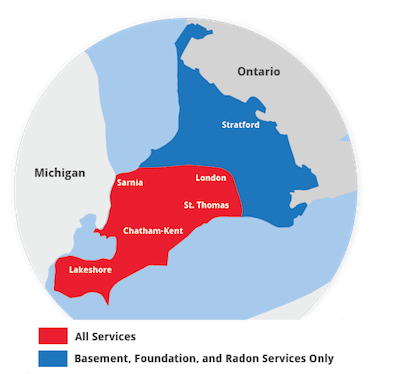 Advanced Basement Systems services Southwestern Ontario including Woodstock, London, Sarnia, Chatham, Windsor, Goderich, Bayfield, St. Thomas, Cambridge, Brantford. Financing Available with approved credit. Plus other easy payment plans. Ask your System Design Specialist for details.